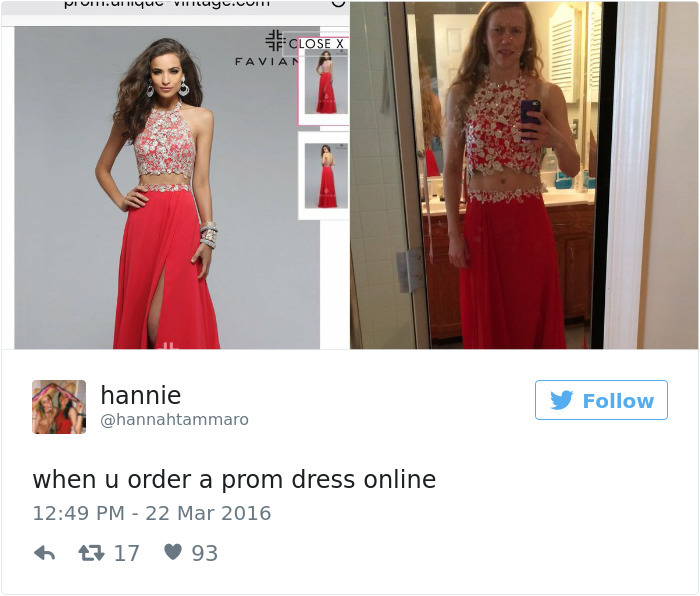 Online Shopping For Prom Dresses: Not A Wise Idea – 3Stoogiez! Shopping online is definitely the most convenient way of making purchases. Aside from saving time and energy, you can have all the opportunity to search for every item you wanted to buy from a wider selection at any time anywhere for it is 24/7 open for its customers. 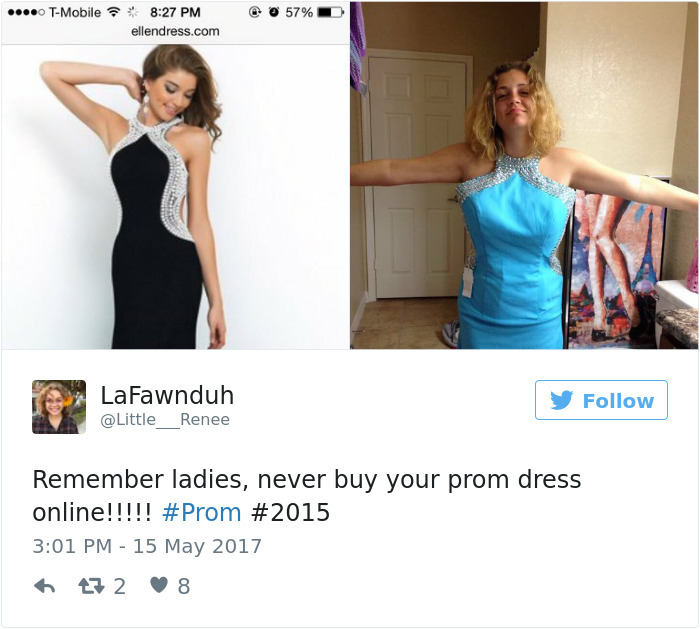 If you’re looking at buying a prom dress but you’re worried about the cost, check out some coupons on websites such as PromoCodeWatch, to avoid getting bad quality dresses! There is a possibility of receiving items of the same style but with a twist. Items must be of low quality and the use of different fabric can definitely change how it looks. It might not woth paying for. Aside from being not exactly the same, it might be NOT the type of cut for you. 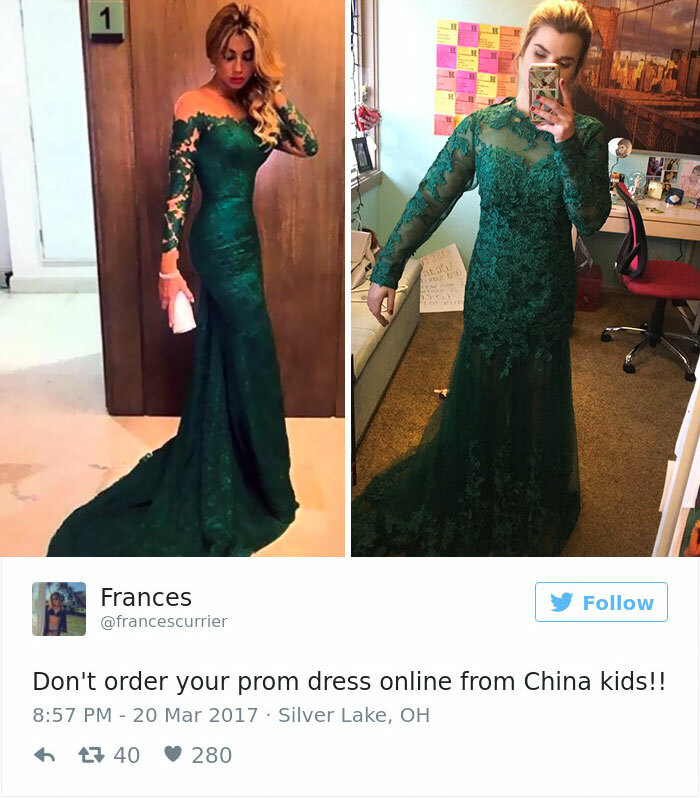 Chances are, you might be receiving dresses that are completely not of the same material with incorrect details. Maybe exactly the same item but might doesn’t fit you at all. So there you go girls, ideas were laid already and it’s for you to ponder upon. 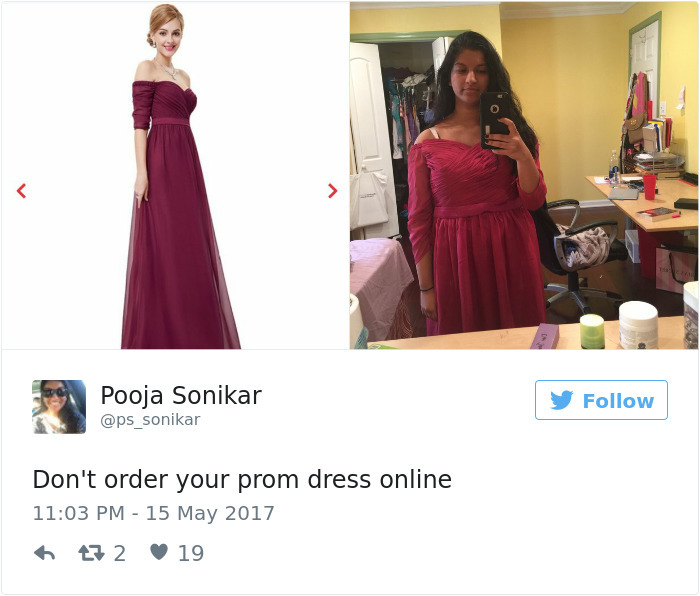 Prom is coming every year so you better think deeply ahead of time. Goodluck!!! 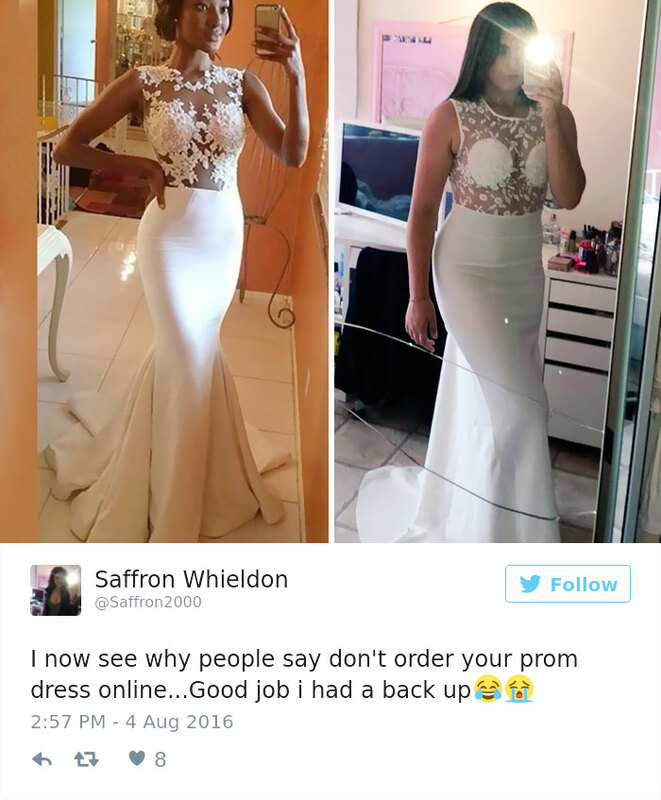 Hilarious Online Shopping Disasters That Would Make You Stop and NOT Shop!